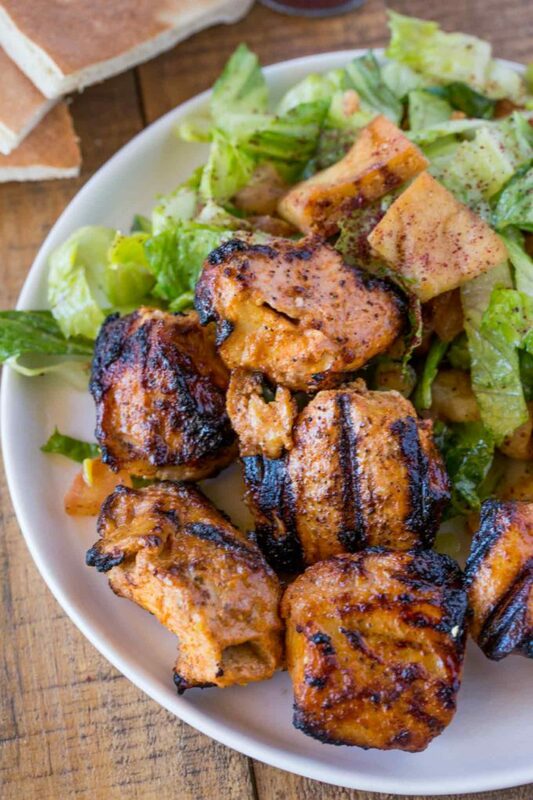 Middle Eastern Chicken Kebabs (Shish Tawook) marinated with yogurt, garlic and spices before grilling. 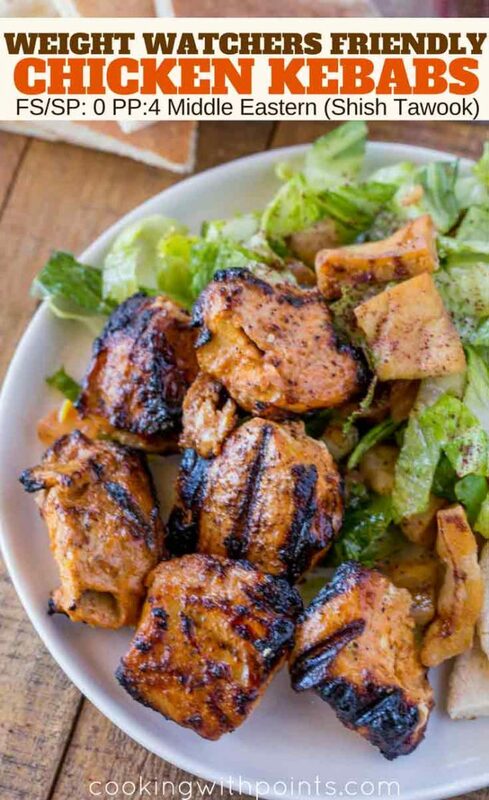 We love healthy Middle Eastern recipes on the site including Lemon Greek Chicken Skewers, Tabouli Salad and Greek Turkey Burgers. The first kebabs I put on the site were a huge hit with you all. And while lemon garlic skewers are delicious, this is a more classic representation of a Middle Eastern kebabs. 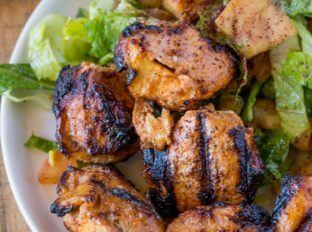 Why use yogurt in a marinade? 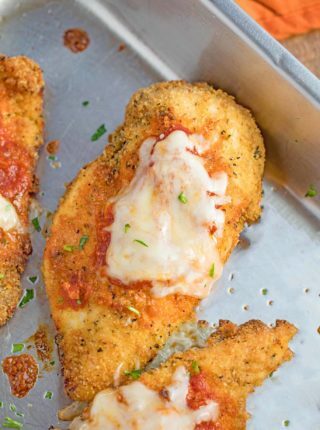 Yogurt breaks down and tenderize chicken breast so its more tender after grilling. In many ethnic cuisines it is used in marinades. It also acts as a barrier that helps the chicken keeps its moisture when cooked on a grill or grill pan. I used metal skewers for this recipe to provide more stability for the meat and to avoid soaking the wood skewers. If using wood, soak the wooden skewers before grilling them. I start soaking before doing anything else, then just thread the chicken on. No need to dry them. Add in more herbs as you like them. People LOVE rosemary with Greek dishes. Try not to overcook, white meat chicken will tend to dry out before dark meat. Just a few minutes on each side is plenty. 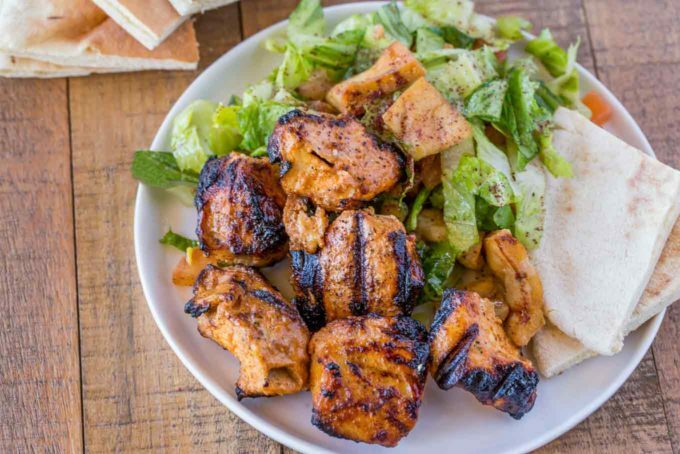 You can also just create your own Middle Eastern Spice Mix and sprinkle that on the kabobs for an easy grilling without a recipe option all summer long. Mix the ingredients and add to a covered container for use within three months. Wooden Skewers: Inexpensive but these require soaking before using so they don’t catch on fire. Plus they’re recyclable. Metal Skewers: Skip the soaking, these are great and because they’re flat the skewer ingredients won’t spin. Add all the ingredients together and refrigerate for at least 2 hours. Heat the grill or grill pan onto medium-high heat. Skewer onto a metal skewer (make sure to leave a bit of space between the chunks of chicken). 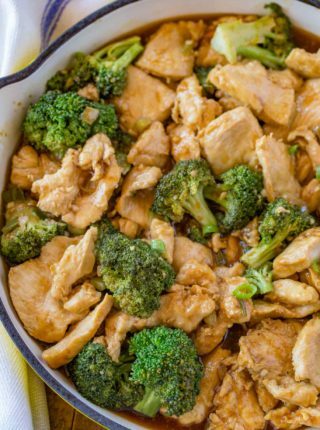 Cook the chicken for 5-7 minutes on each side or until fully cooked. These look amazing! I bet the flavors are to die for! I am thinking of all the ways I can use that spice mix!! So. Much. Flavor! 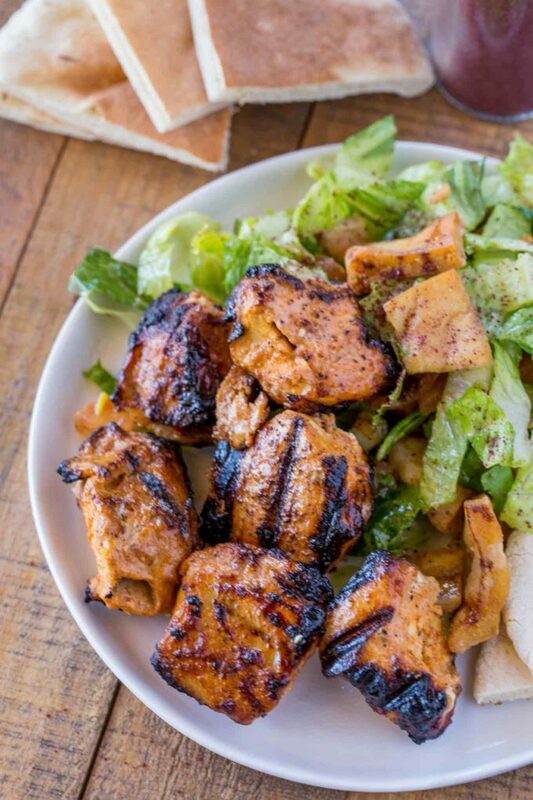 We haven’t tried chicken kebabs yet! It’s a must! I am so excited for grilling on the weekends! These we have to make! 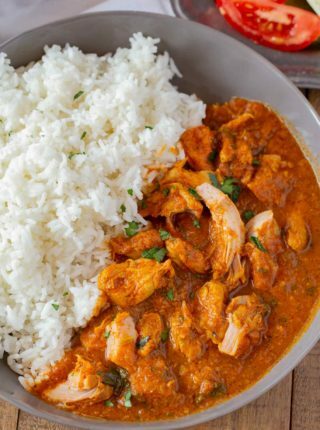 This looks really good and tasty! 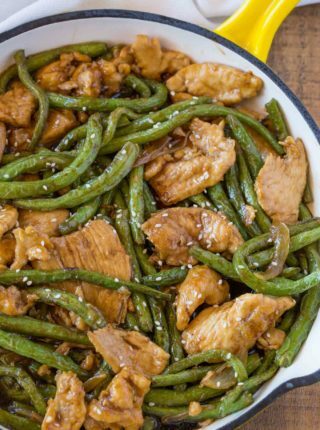 A dish I am sure my family will love! I made this and it’s good. Not spicy, just a really nice flavor. I didn’t have cardamom but added a bit of ginger. I also didn’t put it on skewers, just cut the chicken into larger chunks and cooked it on an indoor grill. Chicken was moist and tender. We had this for dinner tonight. I didn’t have cardamom, but the marinade was still amazing. We served grilled veggies with it and it was a very low point delicious meal. We will make this again. Thanks, Tricia! So glad you enjoyed the recipe!